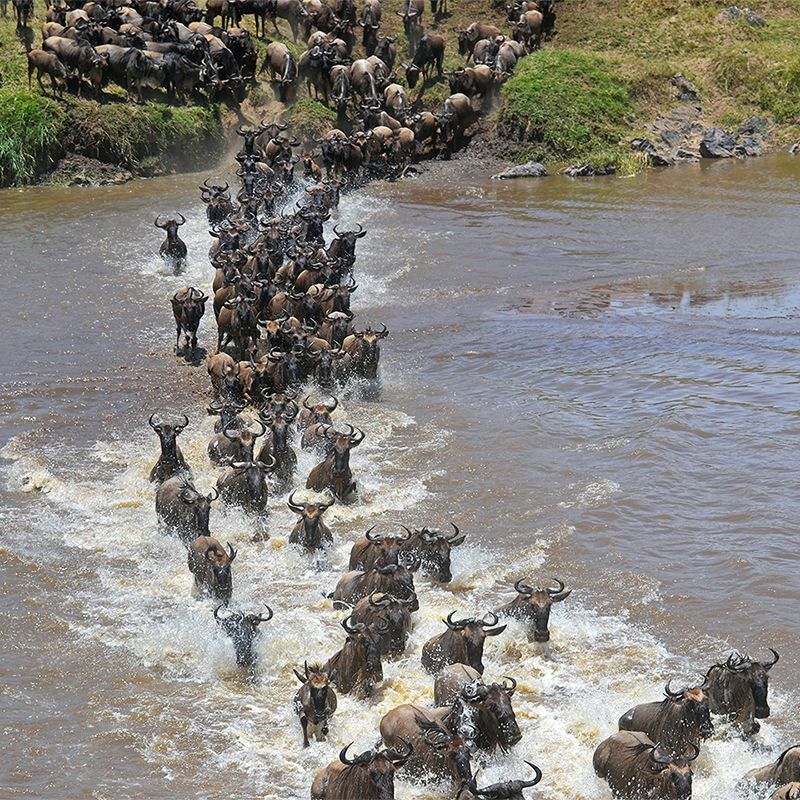 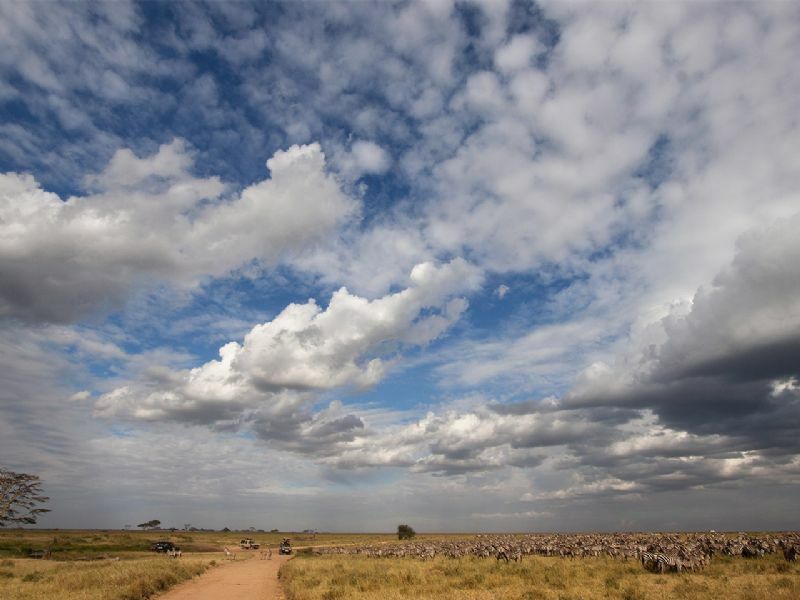 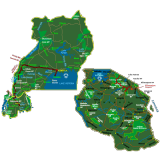 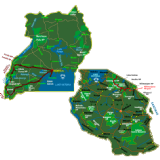 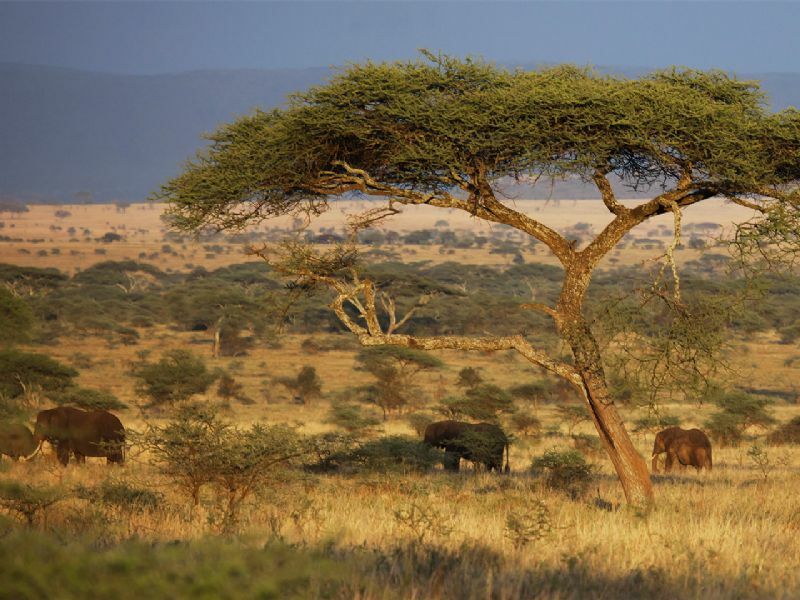 The Serengeti National Park is a large national park in Serengeti area, Tanzania. 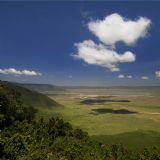 It covers an area of 14,763 km². 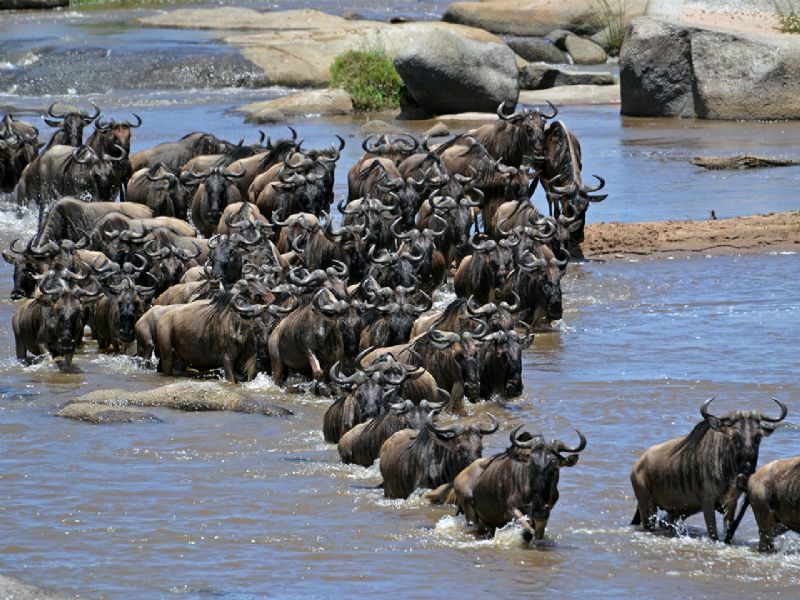 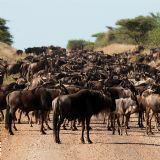 It is most famous for its annual migration of over one and a half million white bearded (or brindled) wildebeest and 250,000 zebra. 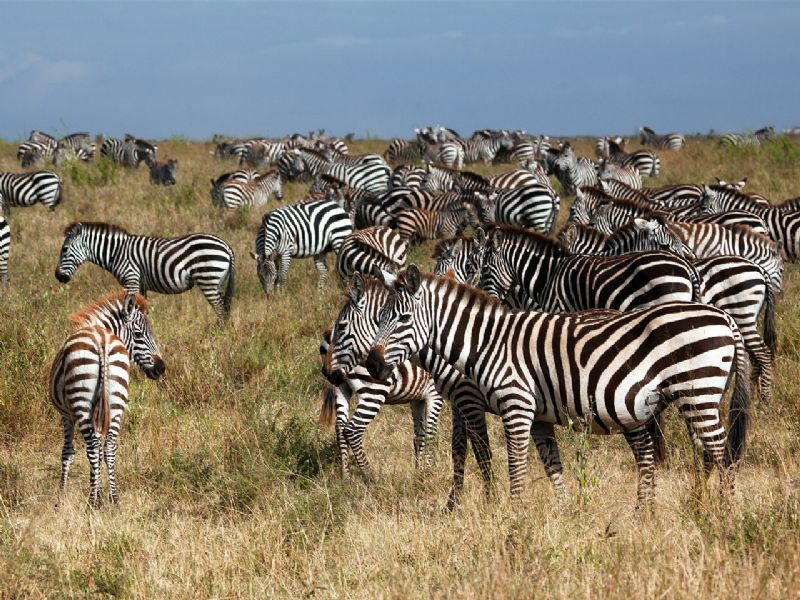 Serengeti National Park is widely regarded as the best wildlife reserve in Africa due to its density of predators and prey. 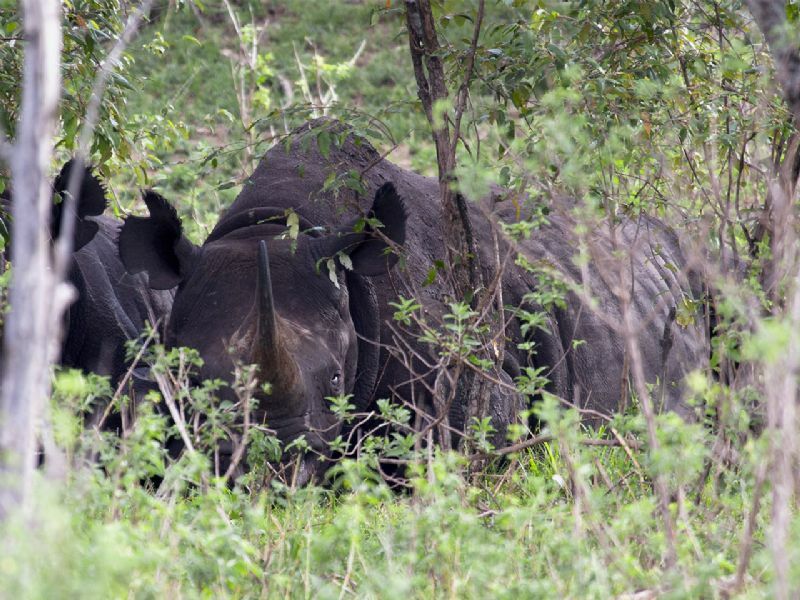 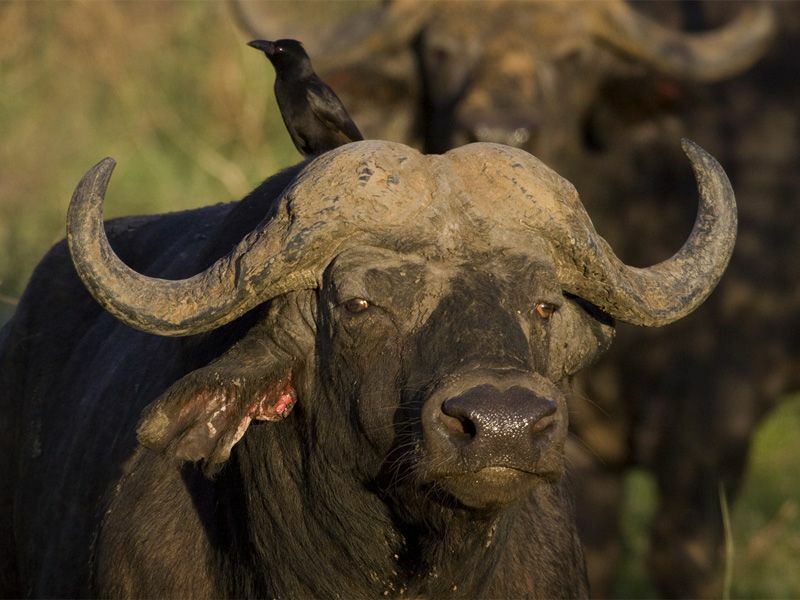 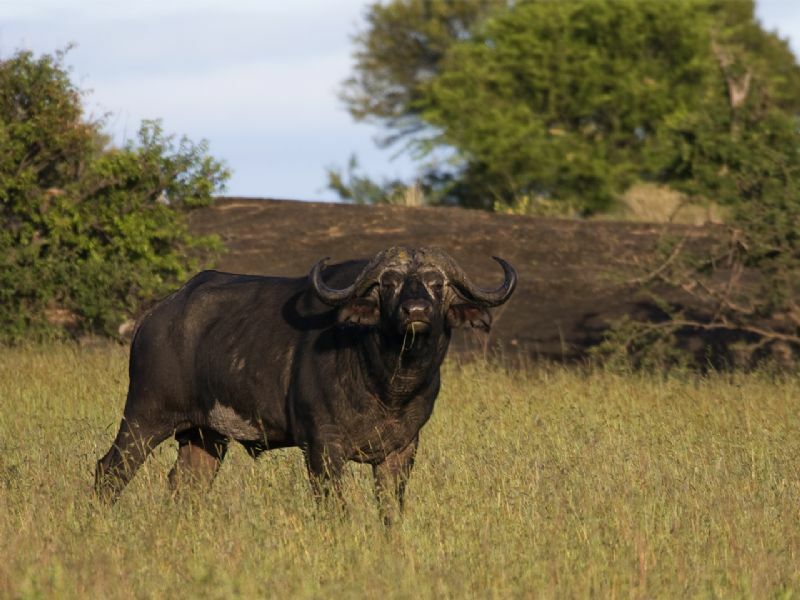 As well as the migration of ungulates, the park is well known for its healthy stock of other resident wildlife, particularly the "Big Five", named for the five most prized trophies taken by hunters (lion, elephant, leopard, rhino and buffalo). 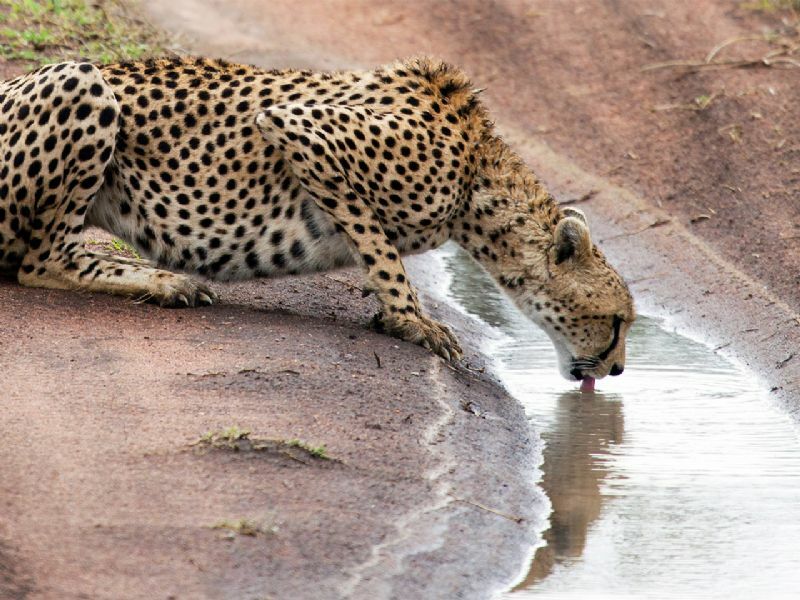 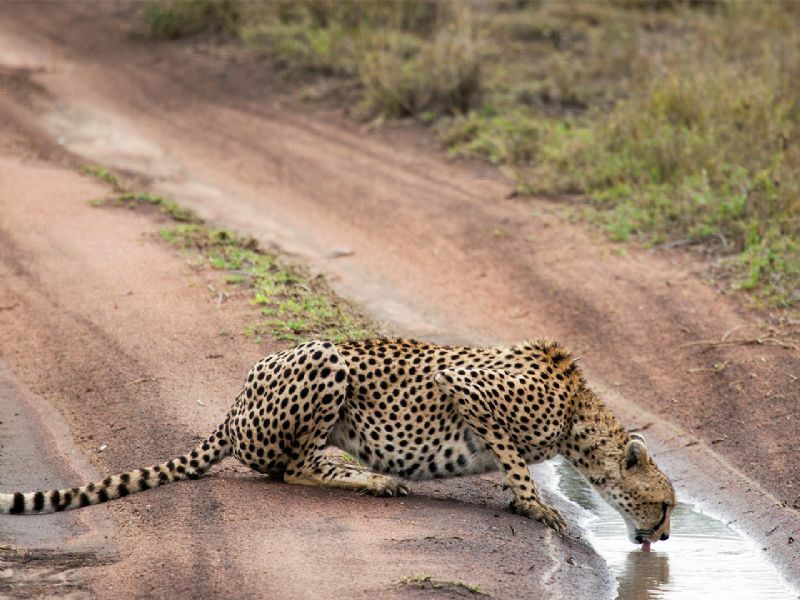 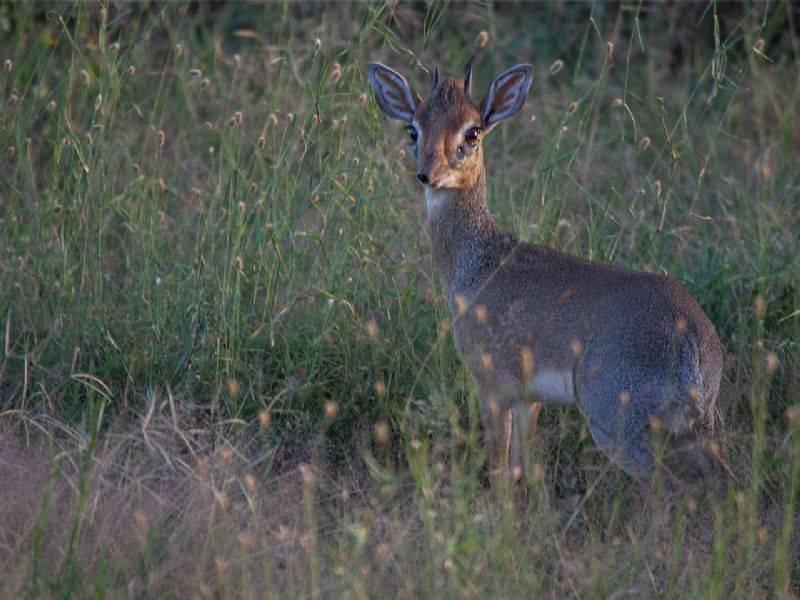 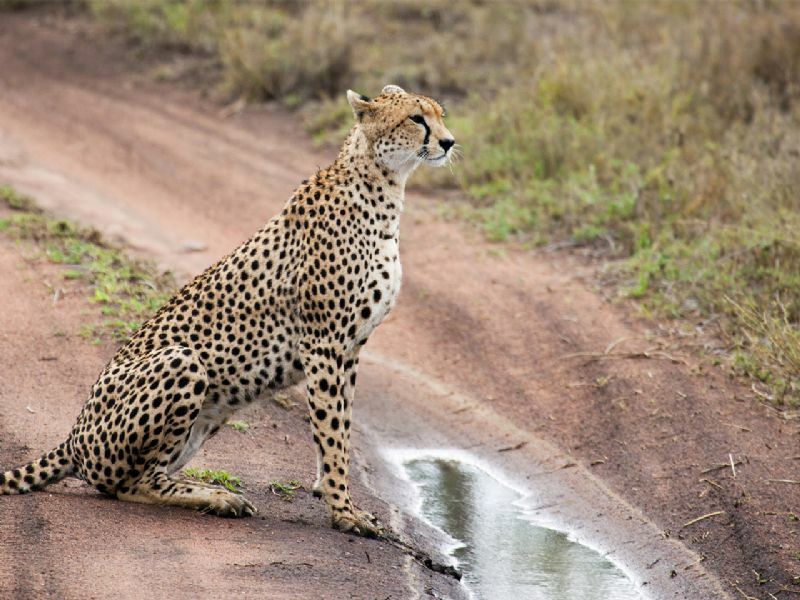 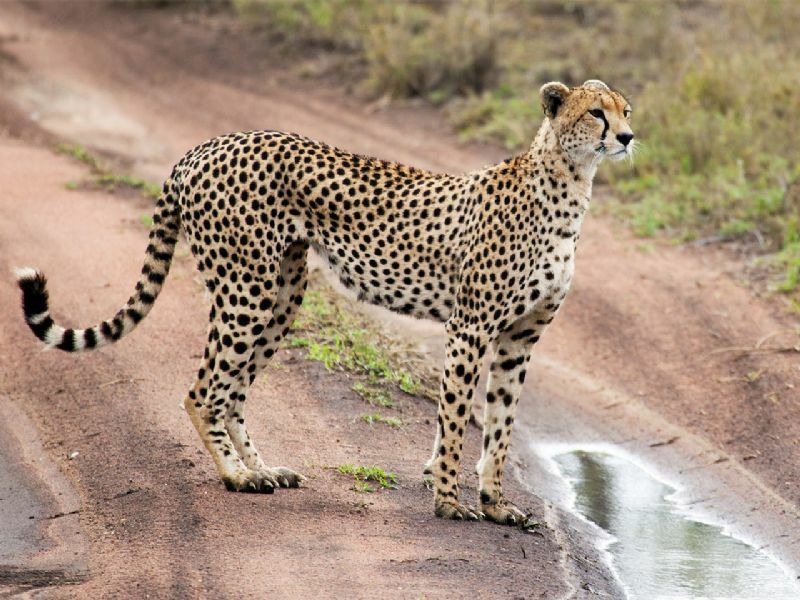 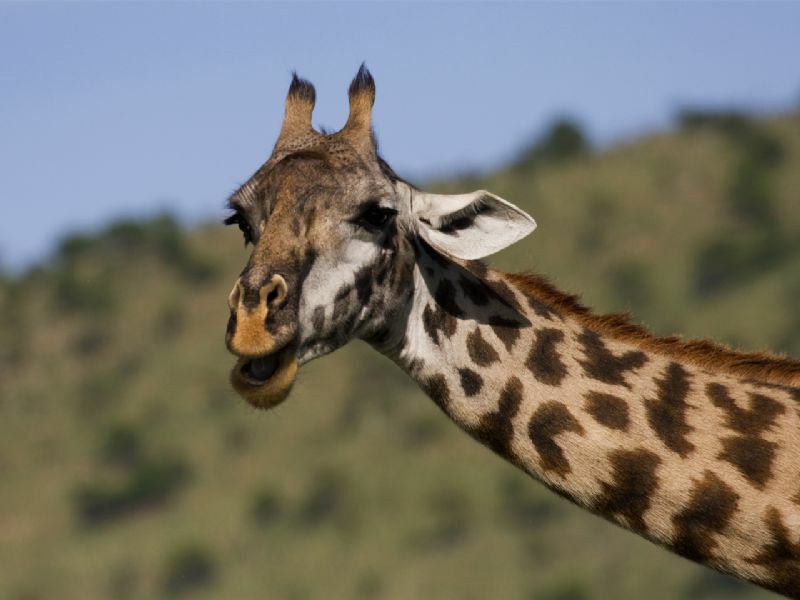 The park also supports many further species, including cheetah, Thomson's and Grant's gazelle, topi, eland, waterbuck, hyena, baboon, impala, African wild dog and giraffe. 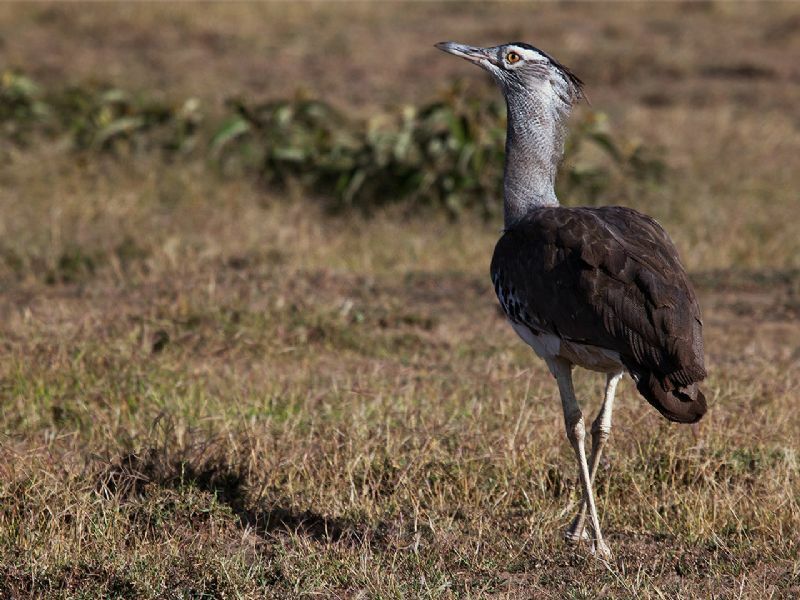 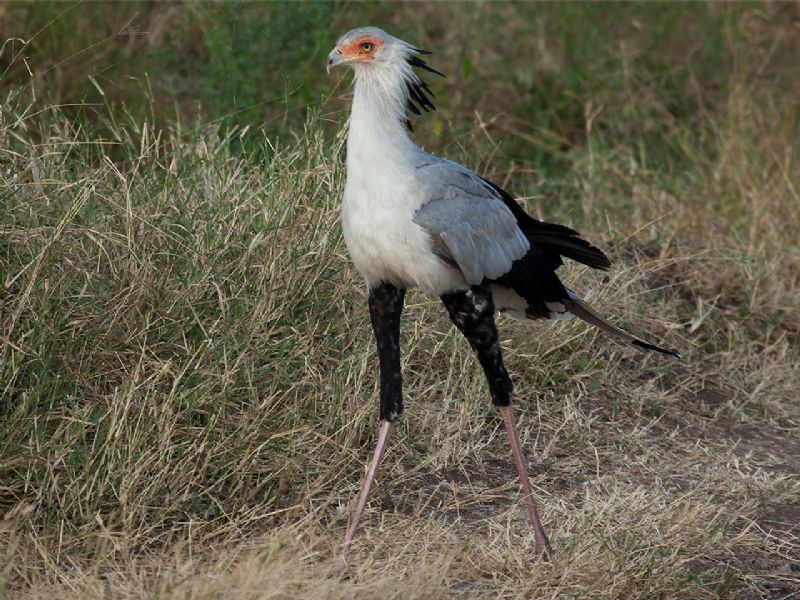 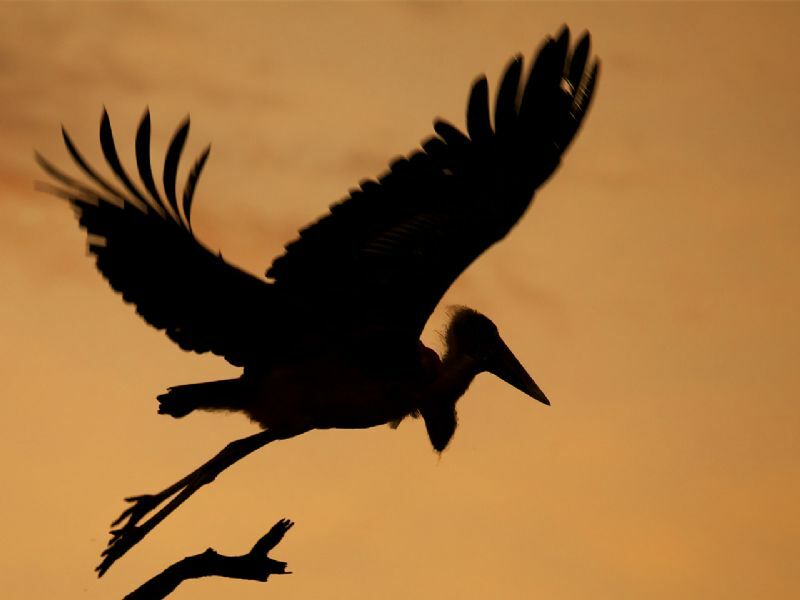 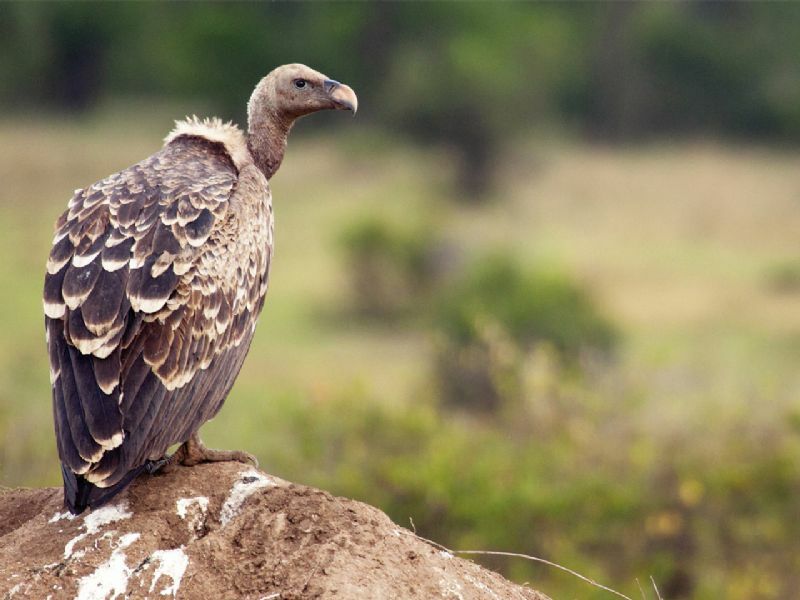 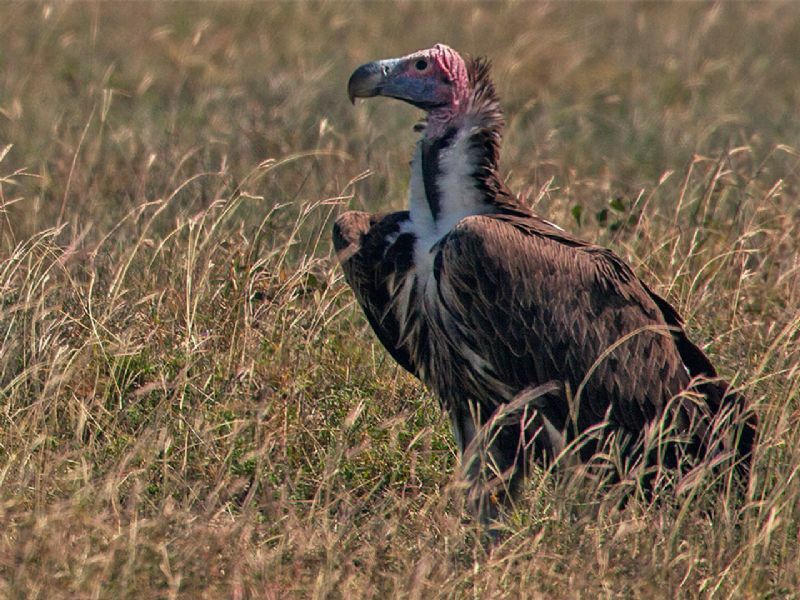 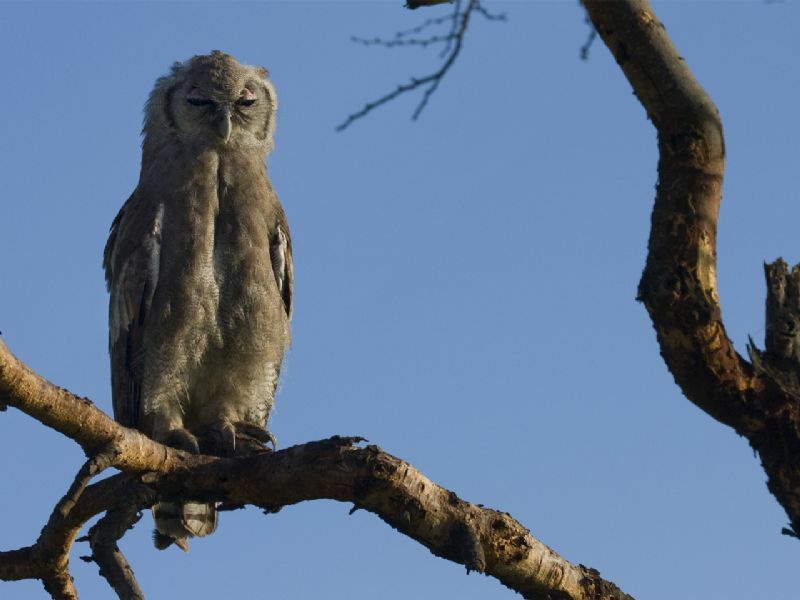 The park also boasts about 500 bird species, including ostrich, secretary bird, Kori bustard, crowned crane, marabou stork, martial eagle, lovebirds and many species of vultures. 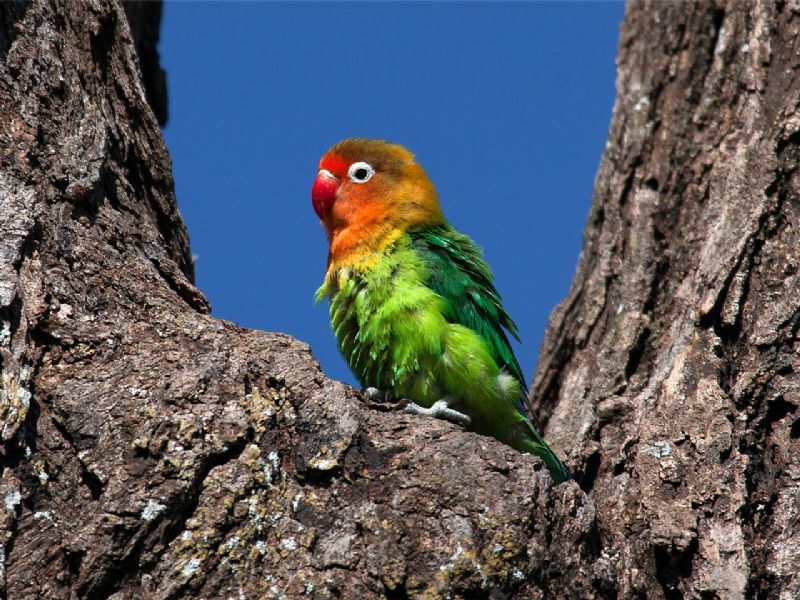 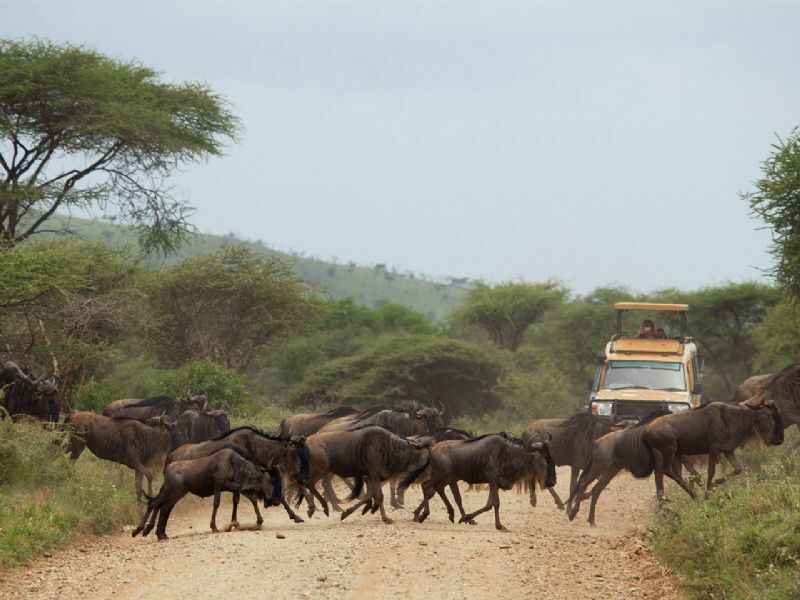 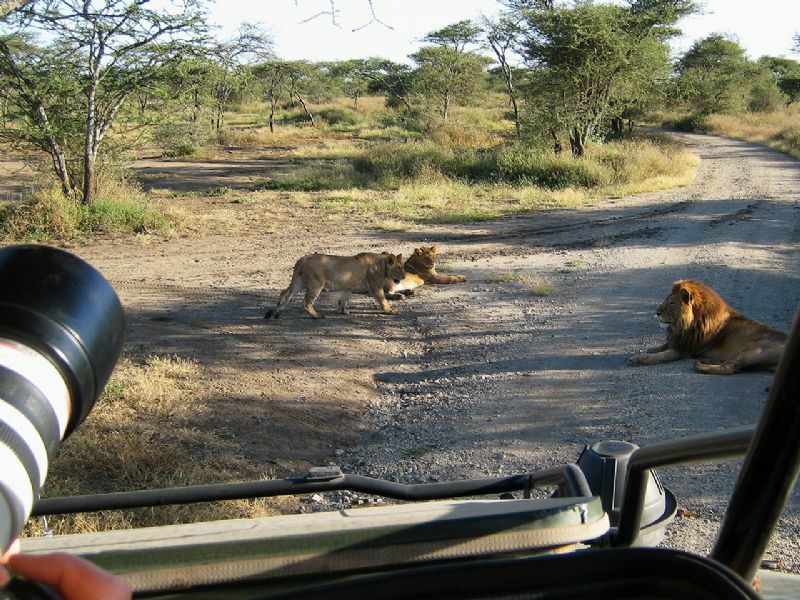 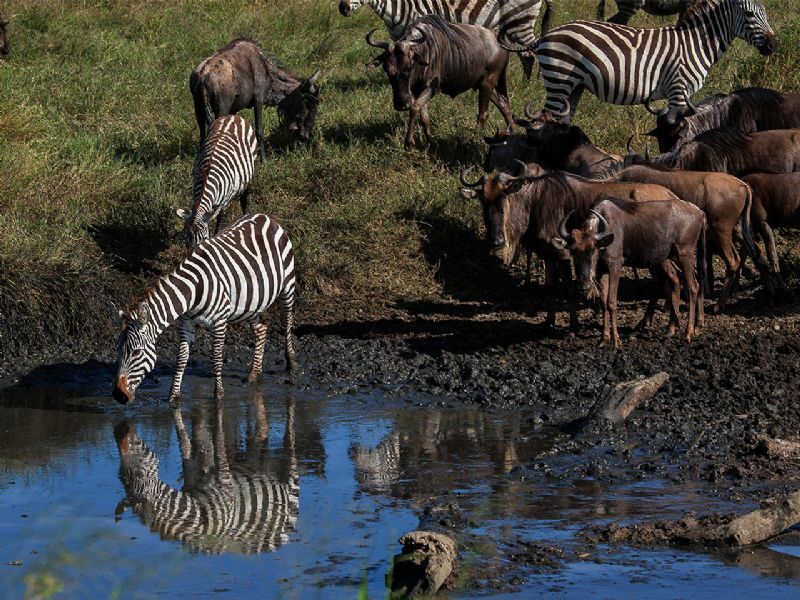 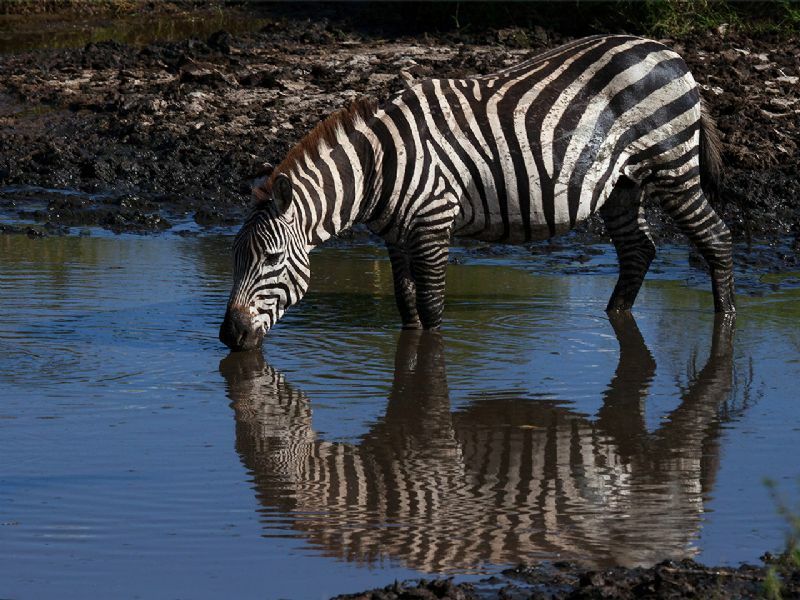 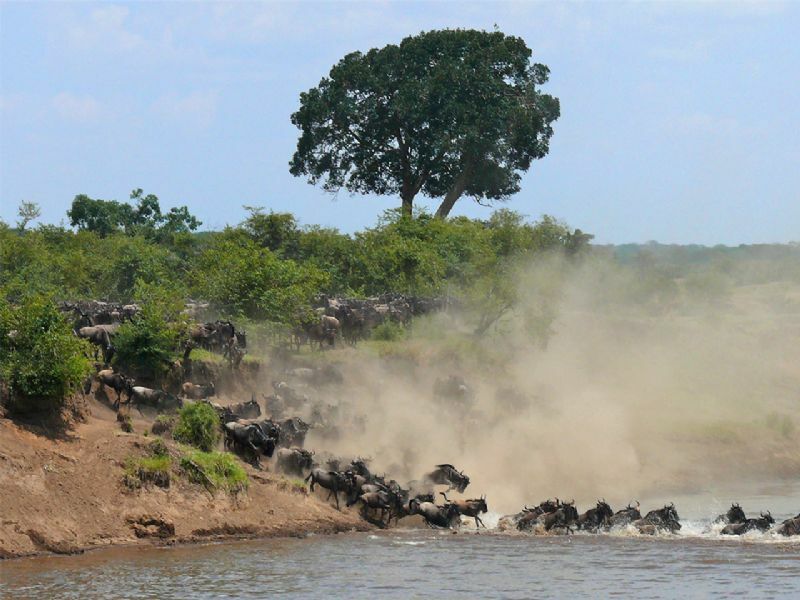 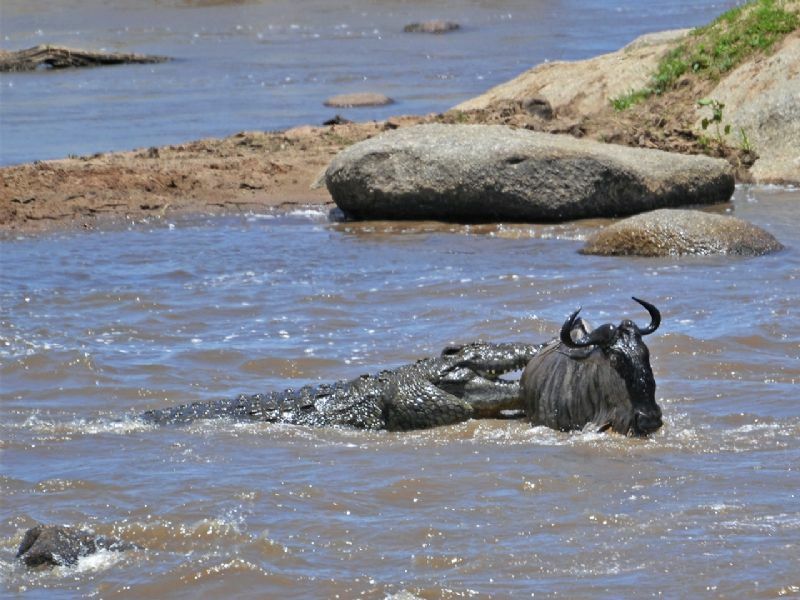 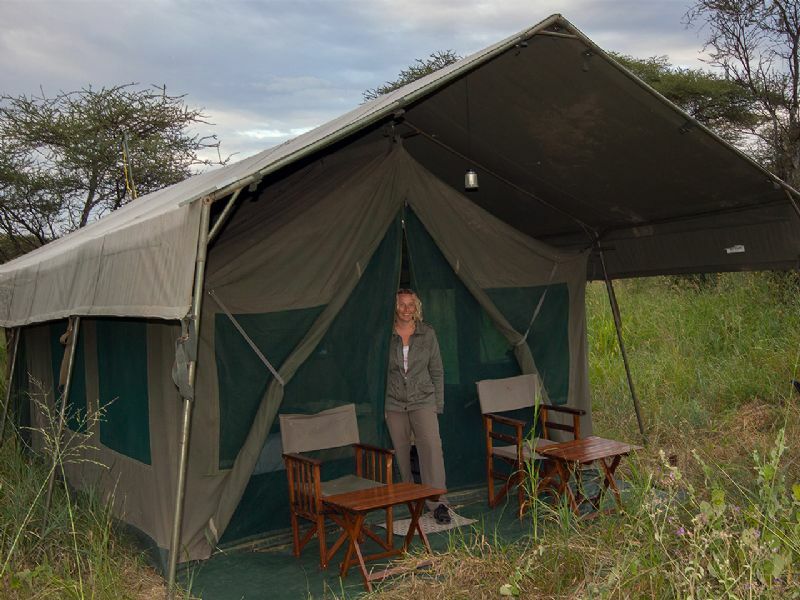 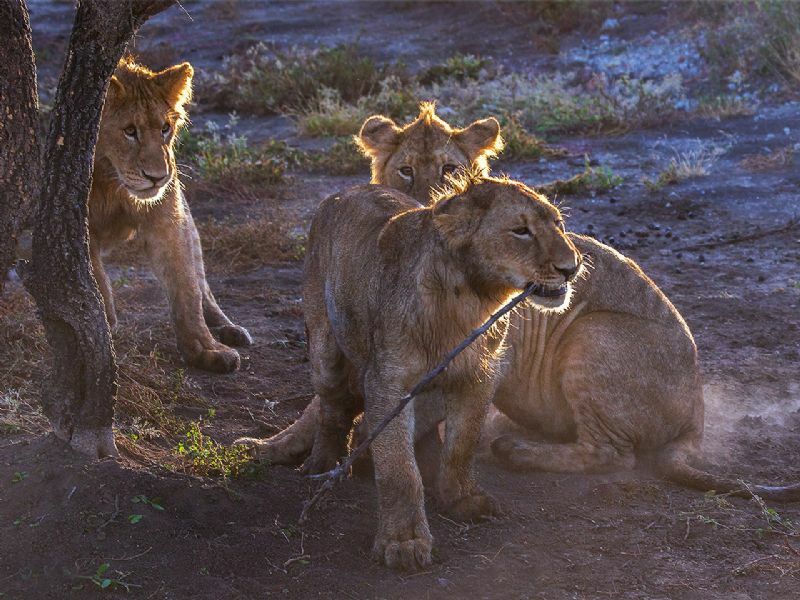 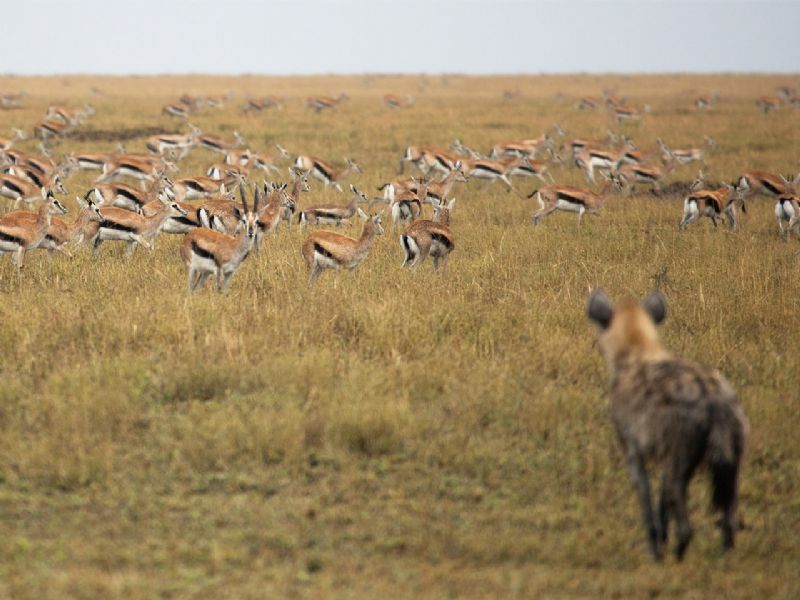 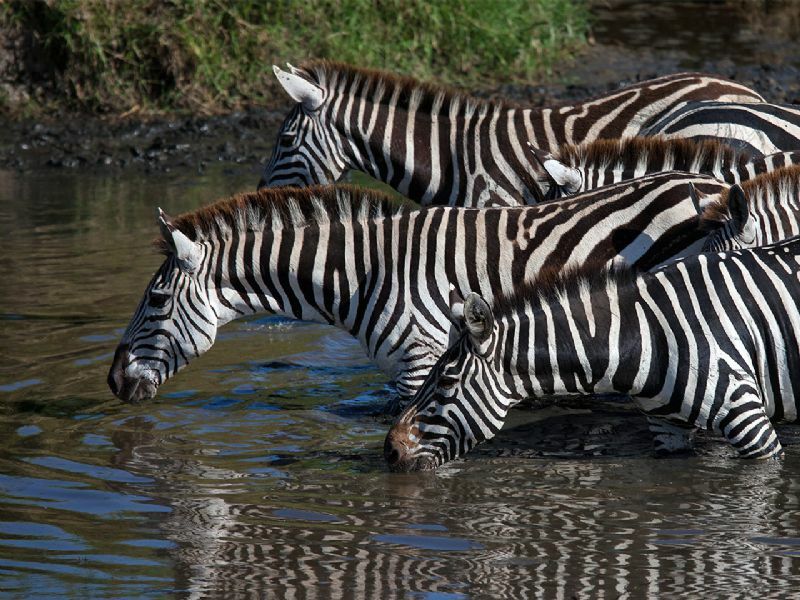 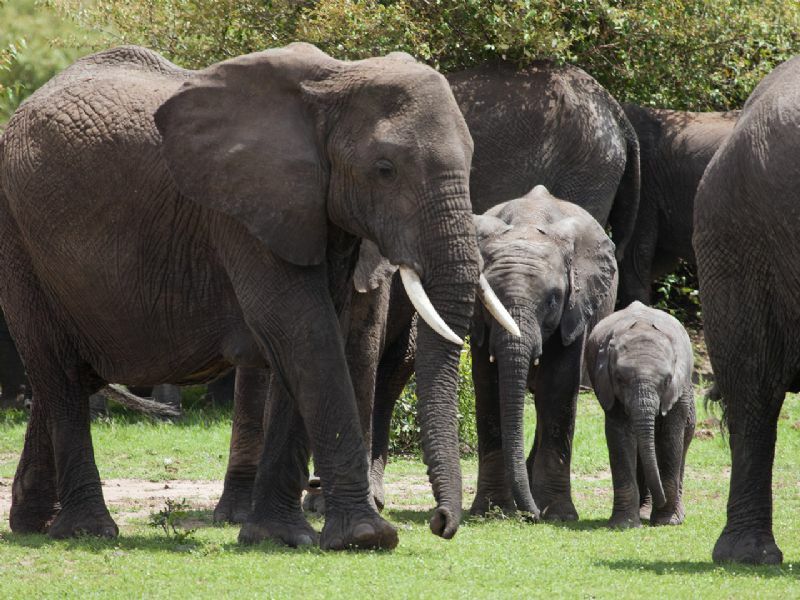 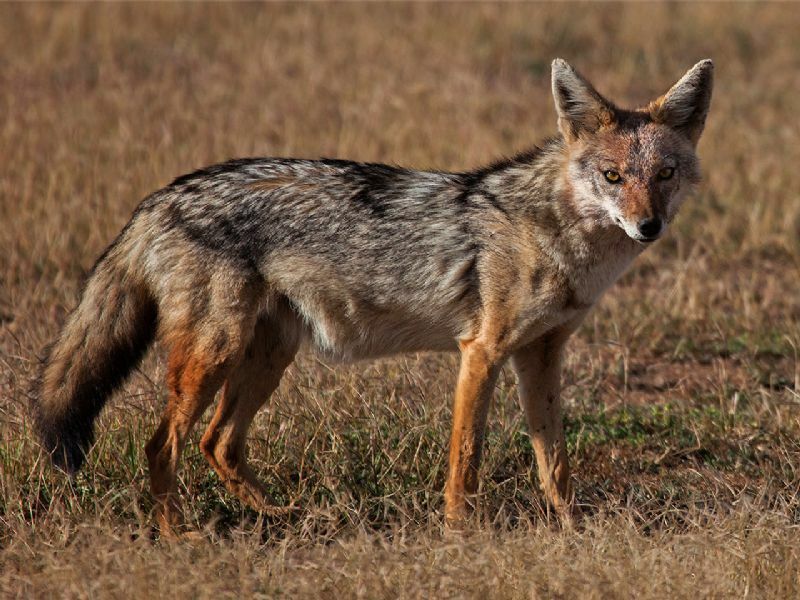 Our 8-day Africa wildlife safari specifically includes four national parks of the Northern Circuit: the Ngorongoro Crater, Serengeti National Park, Lake Manyara National Park and Tarangire National Park. 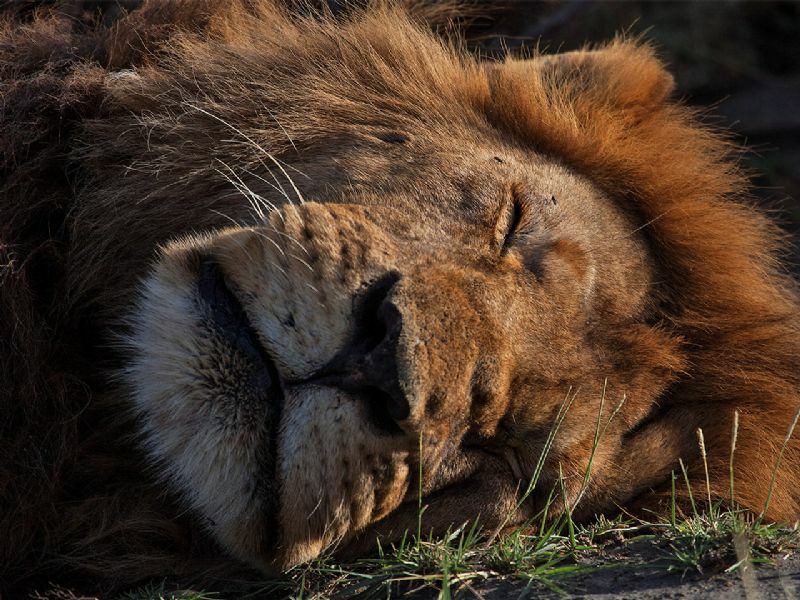 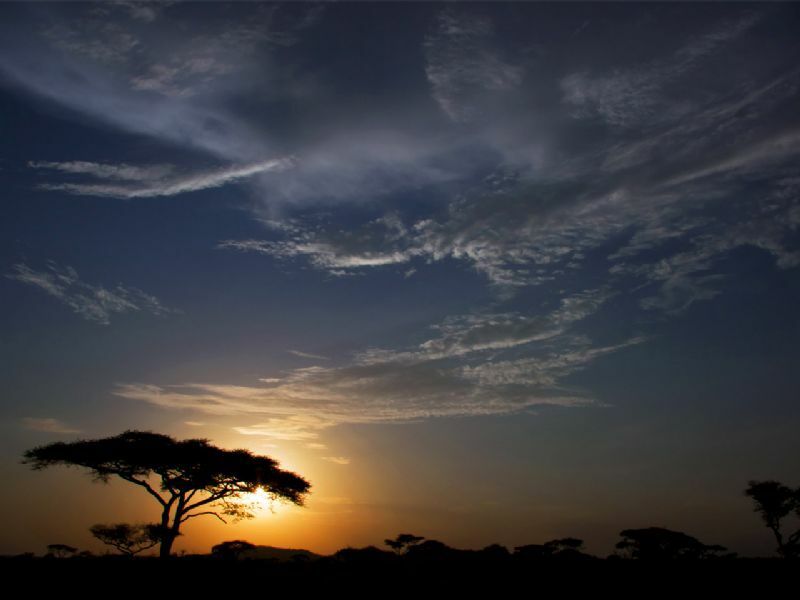 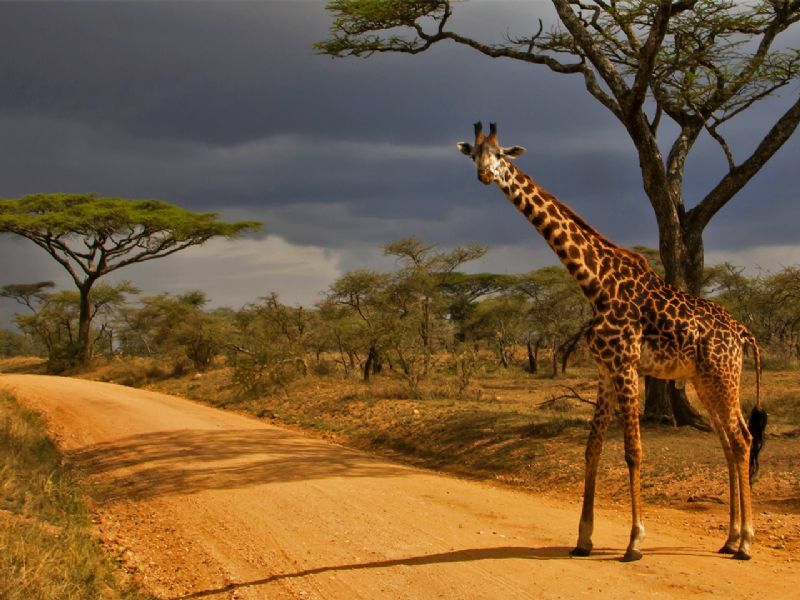 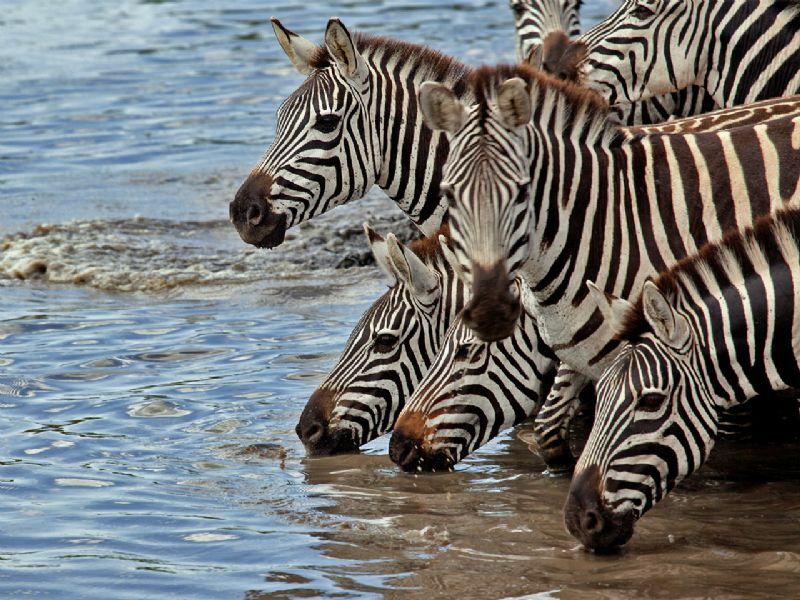 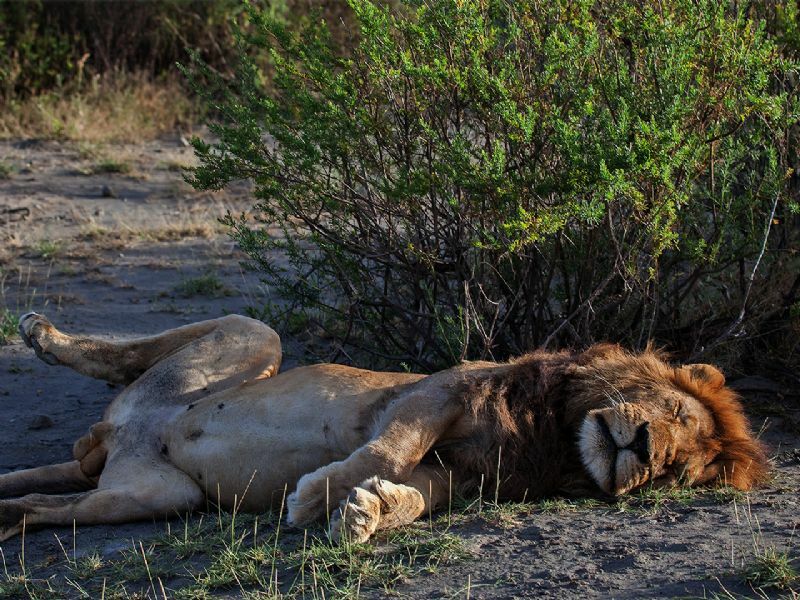 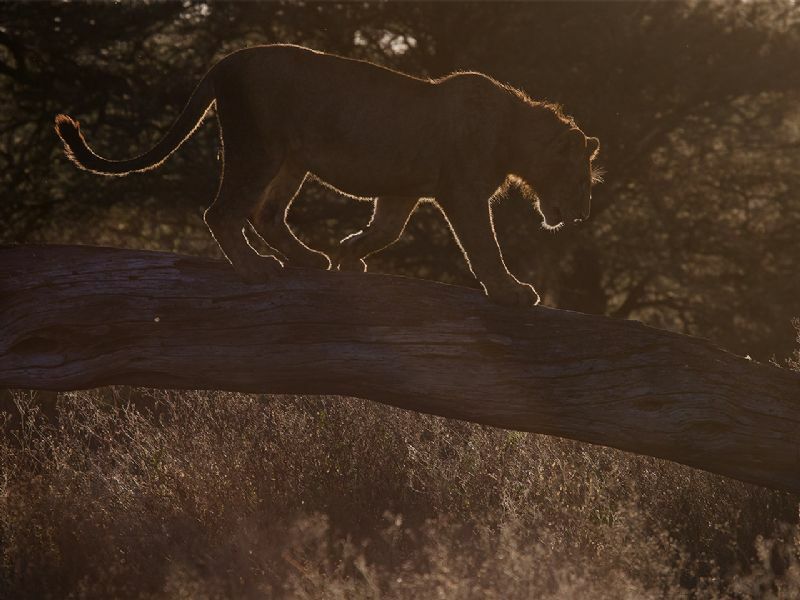 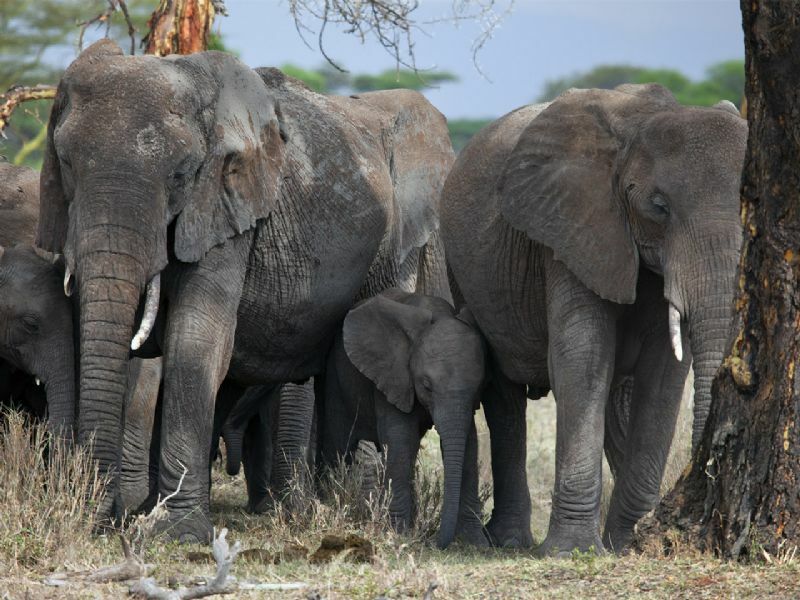 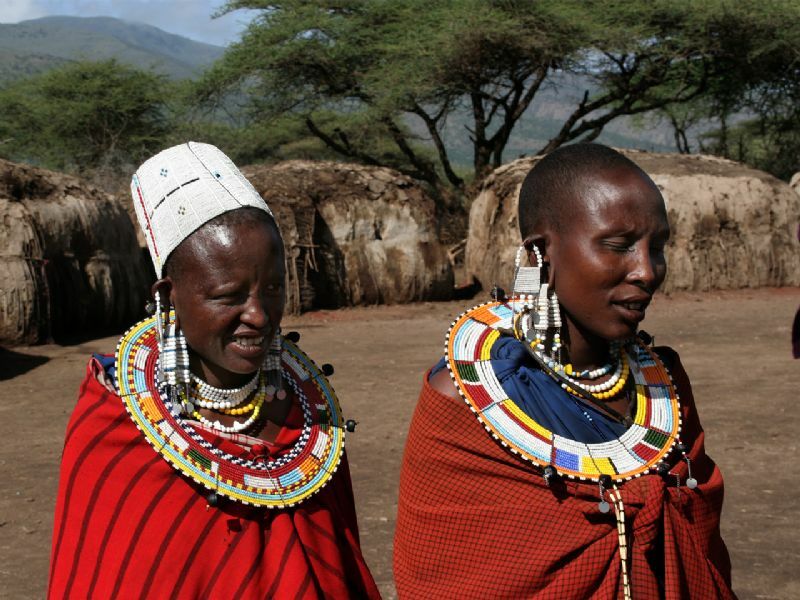 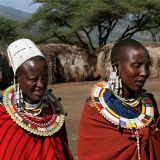 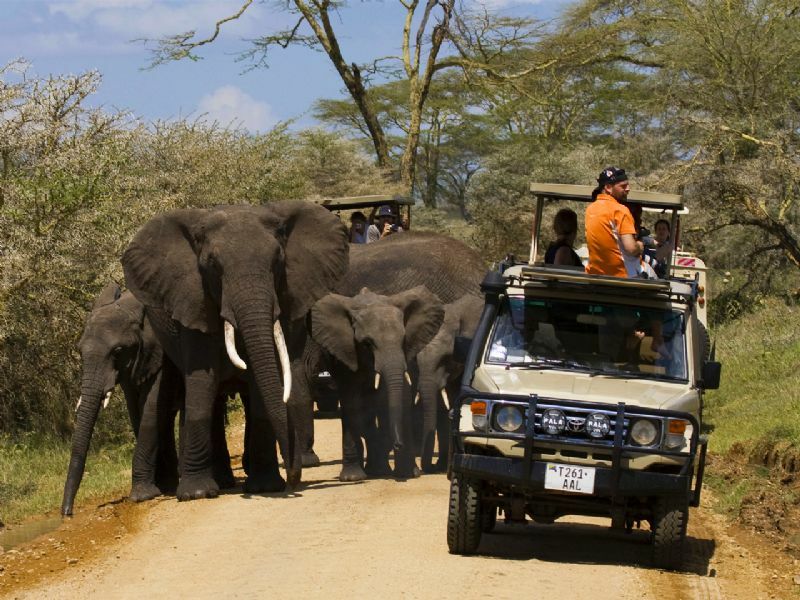 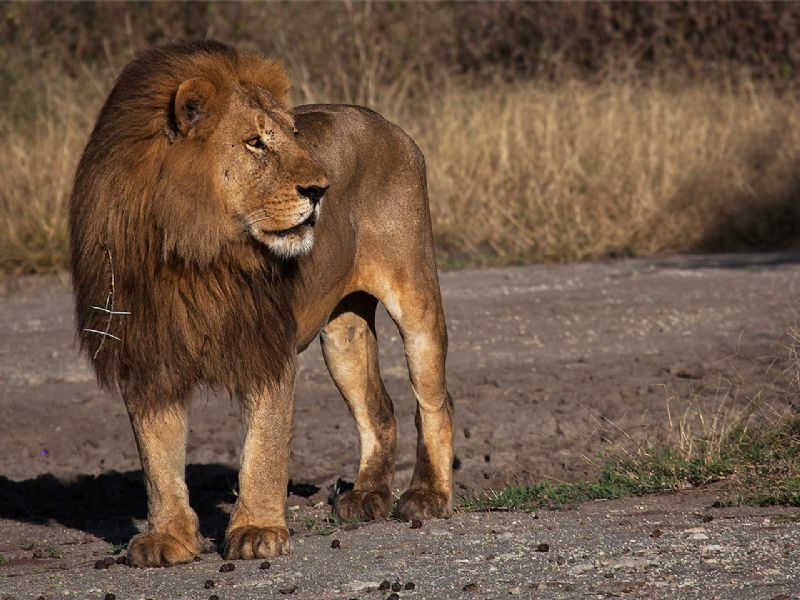 Our 10-day Africa wildlife safari brings you the best of Tanzania. 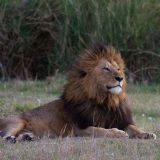 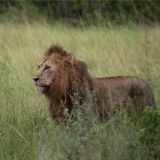 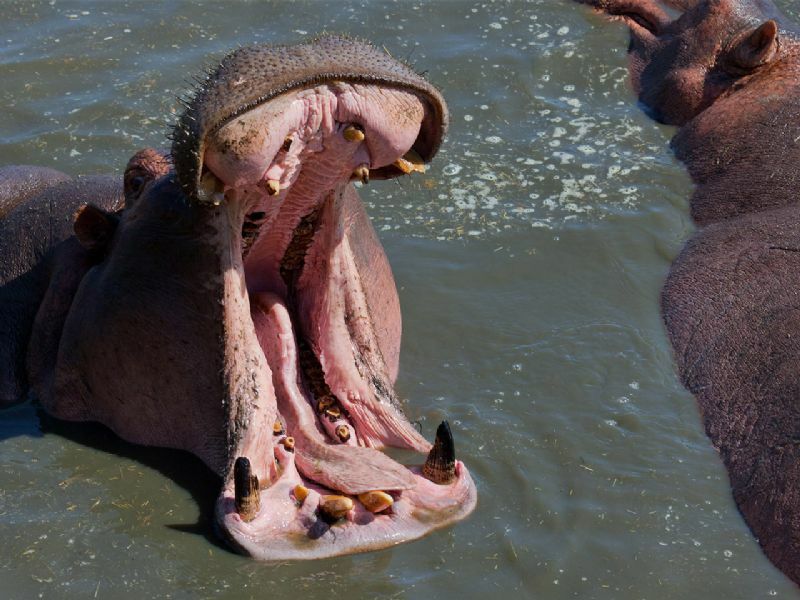 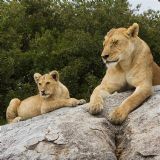 Expect to see the animals of the savannah (lion, elephant, buffalo, giraffe, hippo and leopard) and beautiful landscapes. 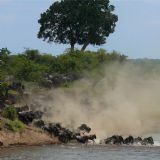 Our 14-day Africa wildlife safari includes the Ngorongoro Crater, Serengeti National Park, Lake Manyara National Park, Tarangire National park, Arusha National Park, Mkomazi National Park and Lake Natron with Oldonyo Lengai, an active volcano. 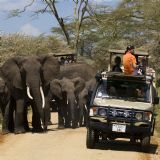 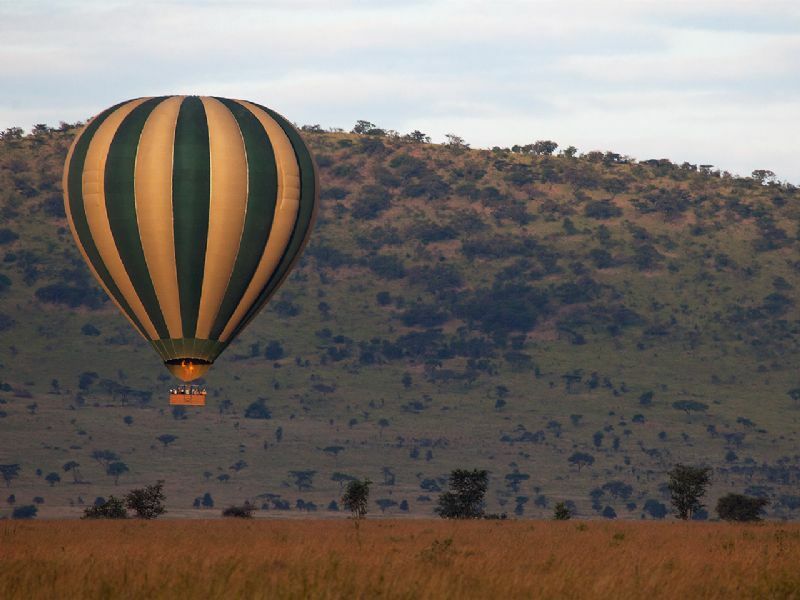 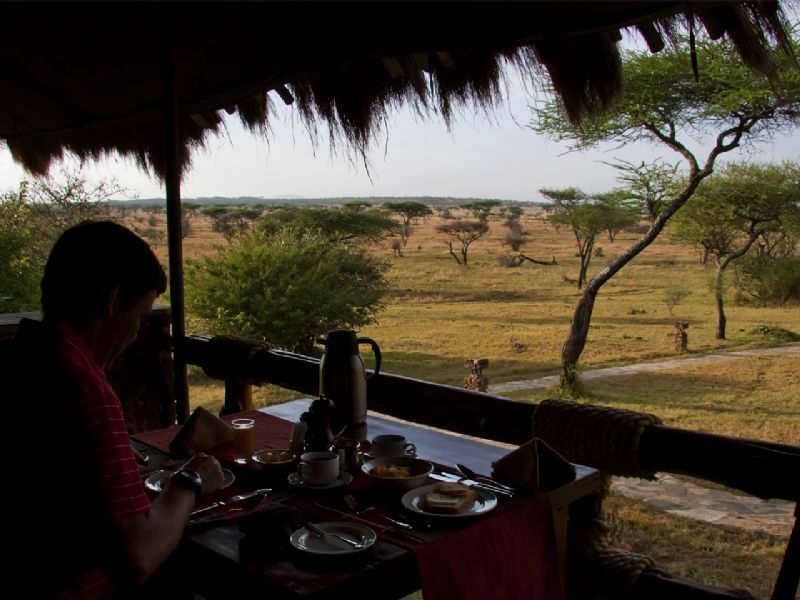 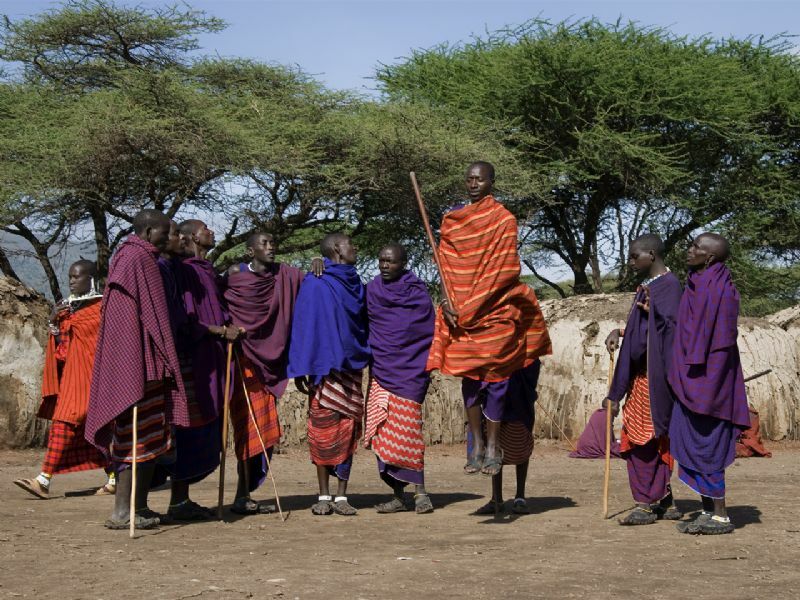 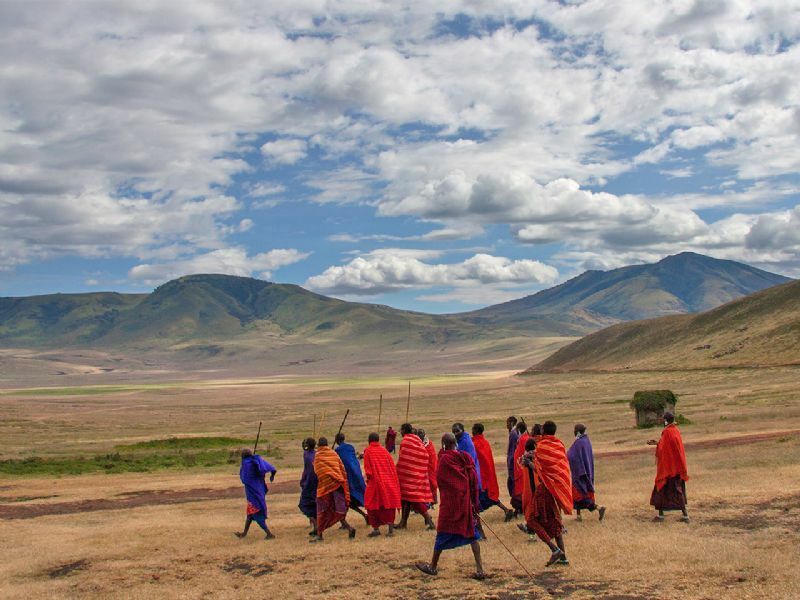 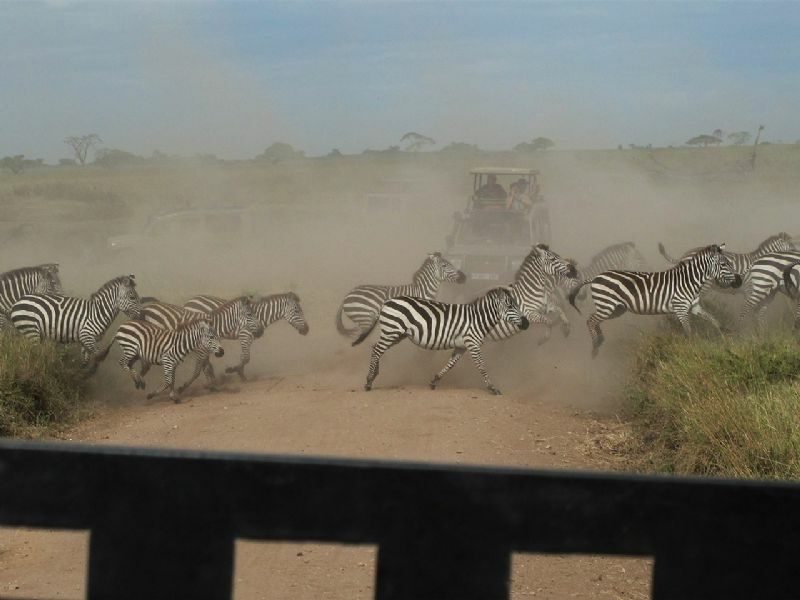 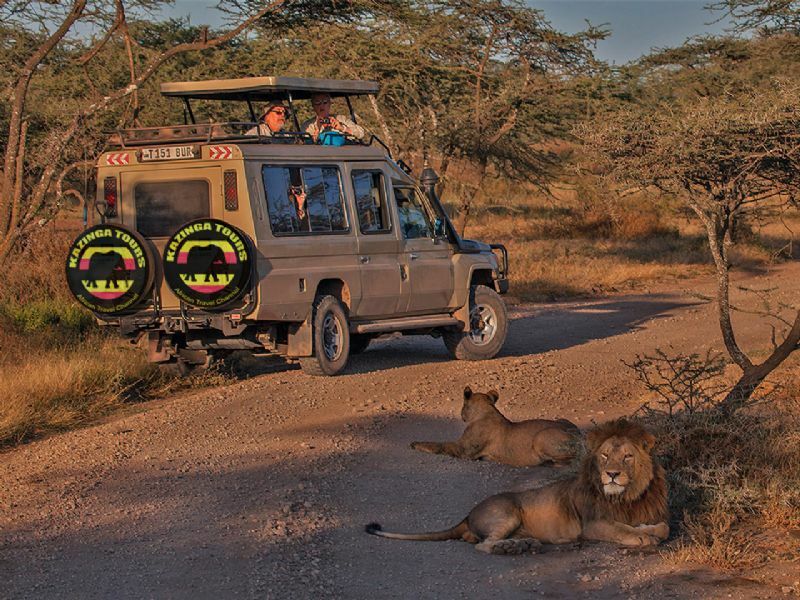 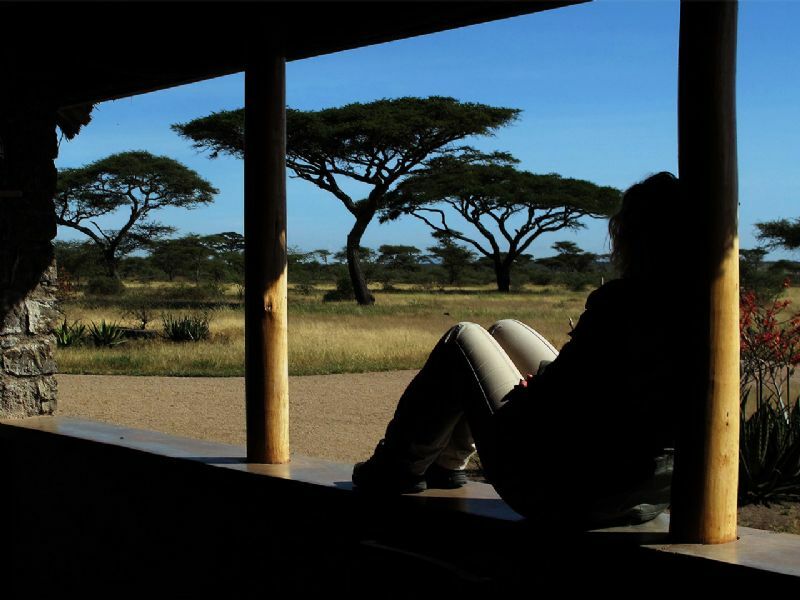 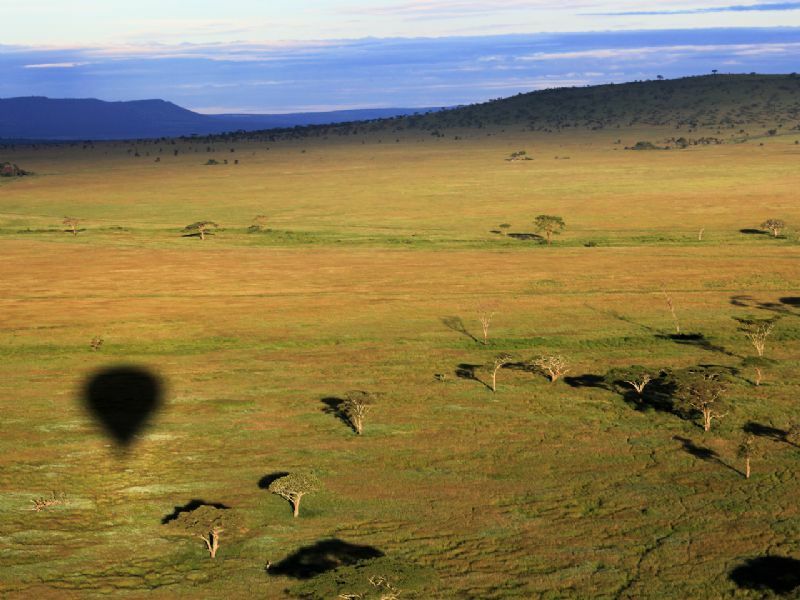 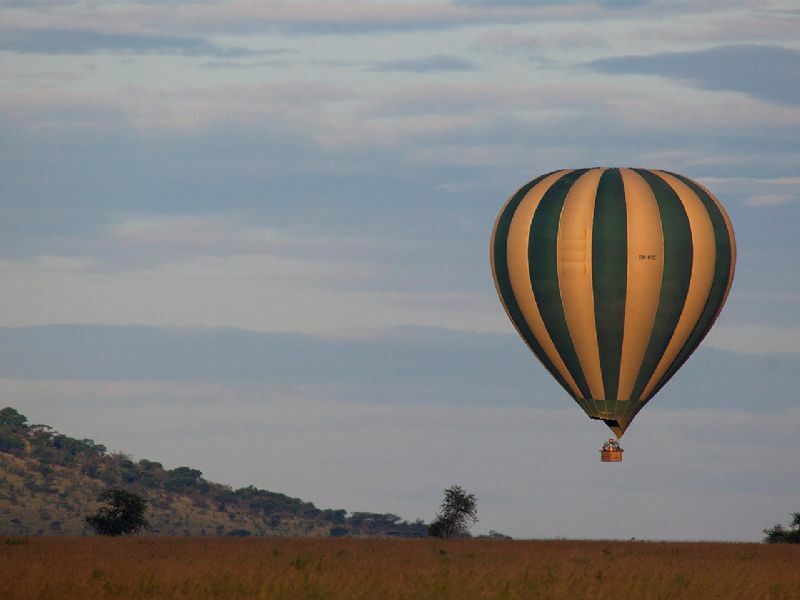 Our 7-day Africa wildlife safari specifically includes the Ngorongoro Crater, Serengeti National Park and Tarangire National Park in Tanzania. 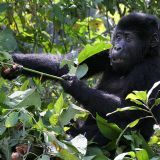 primate species, including gorillas and chimps!!! 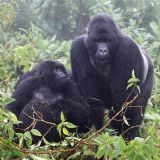 and the other big game on the savannahs and up to 14 primate species, including gorillas and chimpanzees!!! 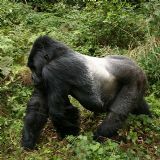 the other big game on the savannahs and up to 17 primate species, including gorillas and chimps! 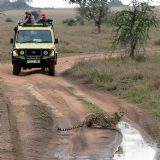 2019 © All rights reserved by Kazinga Tours Ltd. 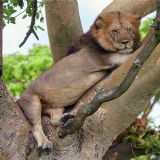 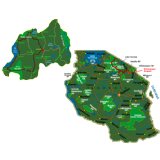 This website (or parts of it including the photos) is copyrighted by Kazinga Tours Ltd. 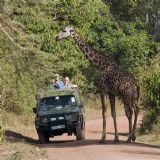 This material may not be used, published, broadcast, rewritten, redistributed or whatever without written permission from Kazinga Tours.